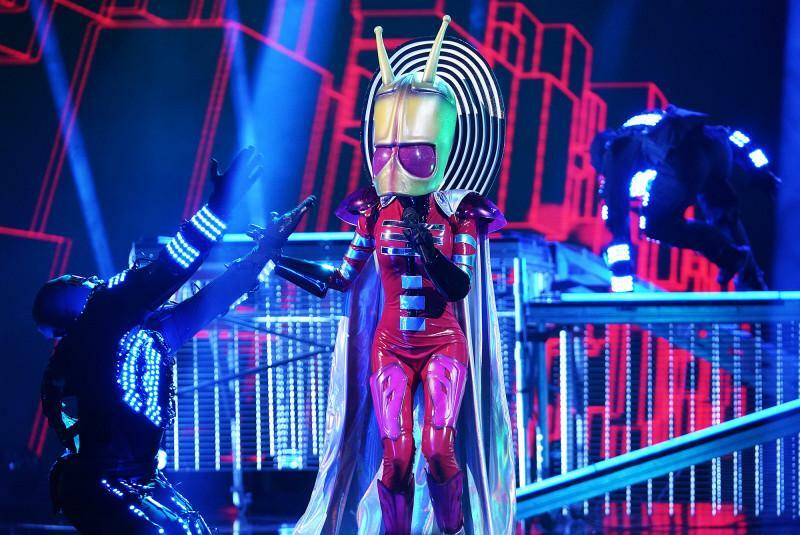 Since the debut of American Idol in 2002, singing competitions have become a TV staple, but we've never seen anything like the newest show in the genre, The Masked Singer. The contestants are all celebrities, some famous for their music and some more known for acting, sports, modeling, reality TV. Oh, and they're all dressed like giant furries, we should mention. 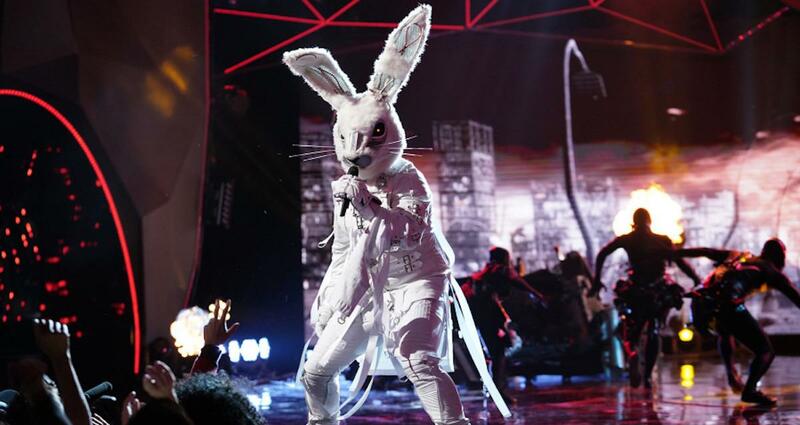 At the end of each episode, the singer who scores the lowest with the audience and judges gets unmasked, confirming their identities once and for all. 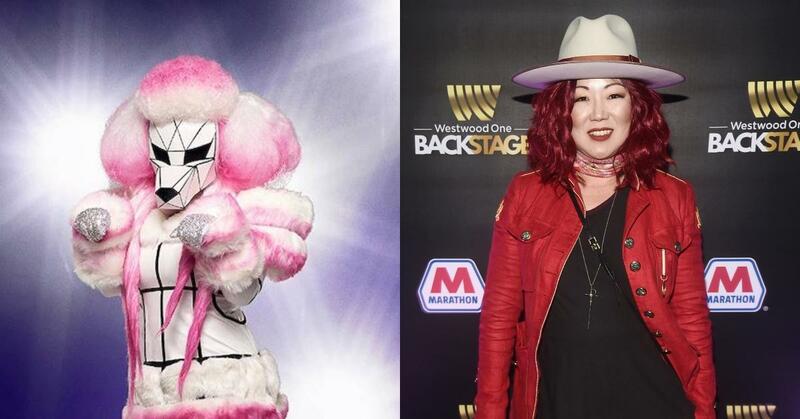 While we have plenty of theories on the identities of those who've yet to be revealed, here is everyone who has been unmasked on The Masked Singer so far. We'll be updating each week with the latest contestant to show their face, so keep checking back! The judges all figured out pretty quickly that the Hippo was not a professional singer. After his performance of "My Prerogative" by Bobby Brown, they guessed it was likely an athlete behind the mask, with guesses including Odell Beckham Jr. of the New York Giants. However, it was Antonio Brown, who was very recently released from the Pittsburgh Steelers after a dispute with QG Ben Roethlisberger. We don't think it had anything to do with his singing ambitions, though. His clues included his experience performing in a mask in front of thousands of "screaming fans," and being known for dancing every time he wins (even if it gets him in trouble) — and Antonio definitely knows how to celebrate in the end zone. 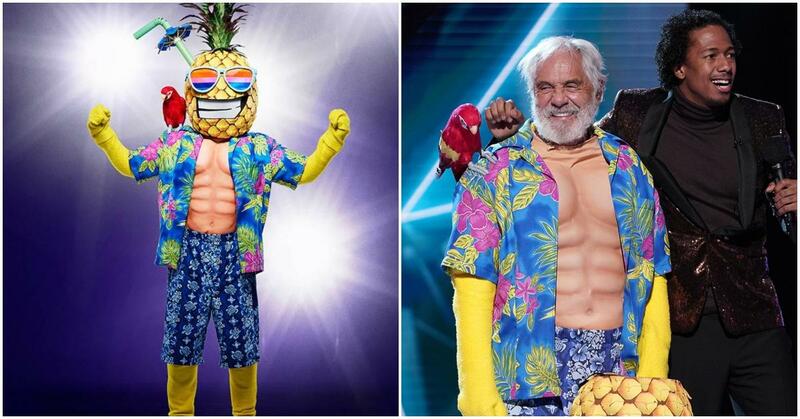 There was no way I was going to guess the Week 1 singer (I am not a big sports fan), but I immediately knew the stoner behind the Pineapple's giant mask. While Jenny McCarthy guessed his partner in weed and comedy, Cheech Marin, I knew it was Tommy for two reasons: Cheech is way too short, and Tommy is a two-time cancer survivor (prostate and colorectal). In the clue package, the Pineapple revealed that he had recently recovered from a life-threatening illness. Did we call this one or what? 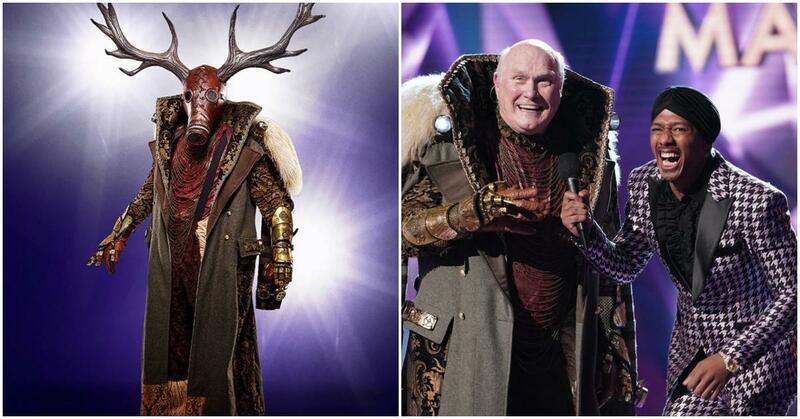 Week 3's elimination confirmed for viewers that the unmistakable Louisiana accent behind The Deer mask belonged to NFL Sunday announcer and four-time Super Bowl champ Terry Bradshaw. Robin Thicke also guessed correctly, noting that the Deer "laughs with his shoulder" the same way Terry does. Good eye! As sad as we are to see the end of the Deer's appearances on the show, he seemed relieved to go. "This is so stressful, I got to thank y'all for voting me out," he said, adding that as fun as it was, being in a singing competition is way harder than playing football. The Poodle dropped a couple more clues tonight that pointed to a standup comedian who's been fired a lot. This made the judges think of Kathy Griffin, though there were still some votes for Judge Judy (come on) and Jillian Michaels. But we called it — it was Margaret Cho. While they didn't get it right, the judges were delighted to see the Korean-American comedian unmasked. But Ken Jeong was especially chagrined since Margaret played his sister on Dr. Ken. 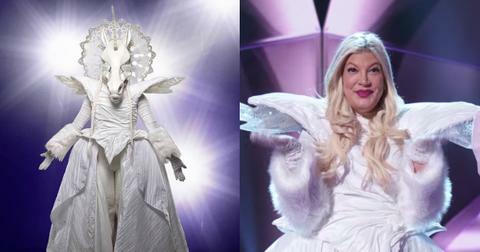 The Unicorn was revealed to be Tori Spelling, as most of us — including Ken — suspected. After unmasking, Tori said that the show allowed her to overcome her biggest fear, which was singing in front of a live audience, and that she hopes she has shown her kids they can be whatever they want to be when they grow up. 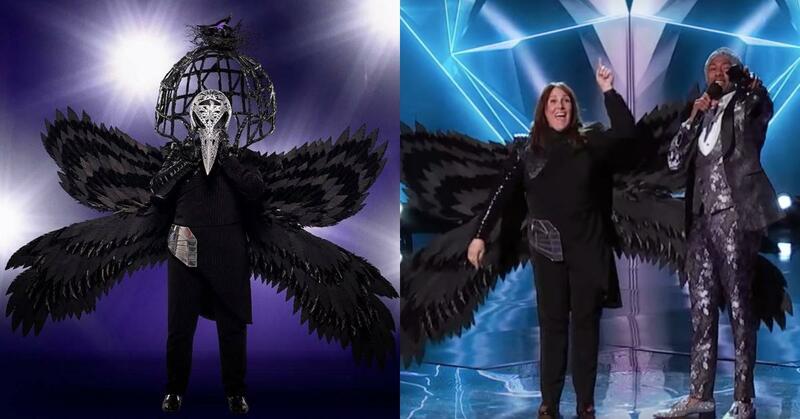 True to our prediction, former talk show host Ricki Lake was behind the raven mask. The reveal led to Ken losing his crown to Robin Thicke, who correctly guessed her identity. 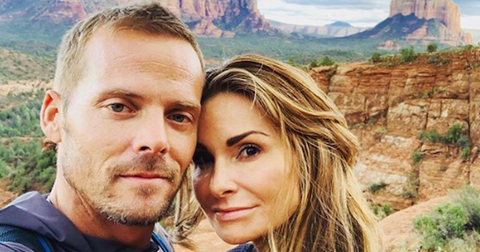 Ricki "loved the anonymity" she got to enjoy while on the show, despite being bad at keeping secrets. When Nick Cannon asked why she chose a raven for her secret identity, Ricki said the bird symbolizes death as well as rebirth, which she felt encapsulated her journey since losing her husband, who completed suicide in 2017. "He was the best thing that ever happened to me, " she said. The Alien turned out to be LaToya Jackson, correctly guessed by Robin and Nicole. While we initially moved away from that guess, as the weeks went on, we realized we had to ignore the misleading clues that made us think a Kardashian, Braxton, or Hadid was behind that big head. Ken let her know he was fully ready to leave his wife for her — with his wife's blessing, and LaToya thanked all the judges for being so kind. People tend to have preconceived notions about her because of her famous family, so she was just excited to see how far she could go under the cloak of anonymity. Week 8 brought a double elimination, first with the Lion, who we expected to take it all the way to the final episode. As we originally predicted, it turned out to be Rumer Willis, daughter of Bruce Willis and Demi Moore. "I knew how to dance," she said, talking of her Mirror Ball win on Dancing With the Stars, "but I wanted everyone to know I could sing too." Look, we're not too proud to admit when we're wrong. 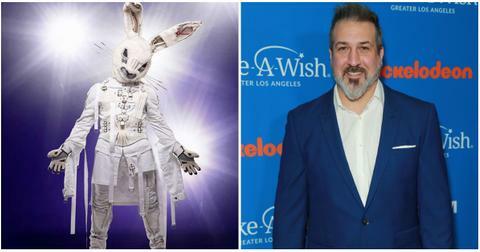 After Joey denied on social media that he was on the Masked Singer, we crossed him off the list of possibilities. But it turns out his pants were on fire! While we're bummed that our prediction of JC Chasez was wrong, we're glad to see Joey pursuing his musical passions again — and his claustrophobia, which the mask forced him to confront. 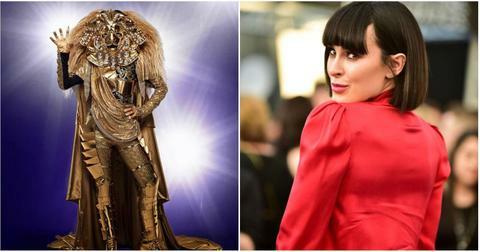 The season finale confirmed the identity of the final three singers and vindicating us on our predictions. 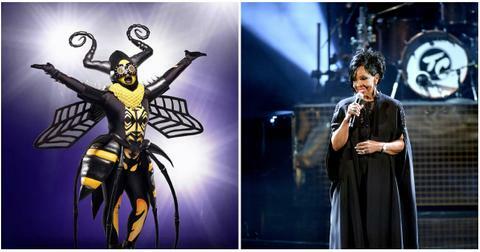 First, The Bee was unmasked, revealing the legendary Gladys Knight, aka the Empress of Soul. The 74-year-old legend recently performed in an Aretha Franklin tribute, and she did it again last week with "Natural Woman." Ken stuck to his guns with his guess of Anita Baker, but Robin, Jenny, and guest judge Keenan Thompson all knew what was up. 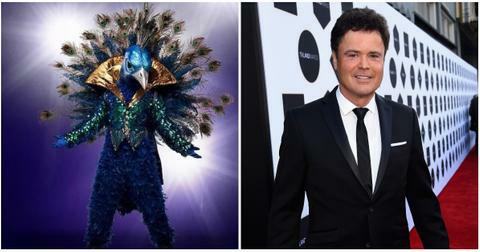 Then, Peacock was revealed to be the runner up to The Monster, and took off the mask to reveal Donny Osmond. We knew it from day 1, as much as the judges insisted on ridiculous guesses like Weird Al and Neil Patrick Harris. Only Jenny McCarthy guessed right. He also revealed he was two-timing the show the whole time, flying back and forth from L.A. to Las Vegas to do his residency while taping Masked Singer. Talk about a showman! 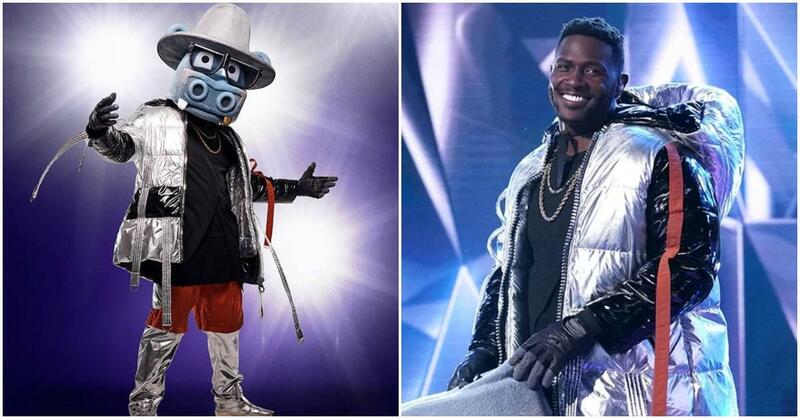 And then, finally, the King of The Masked Singer was revealed. 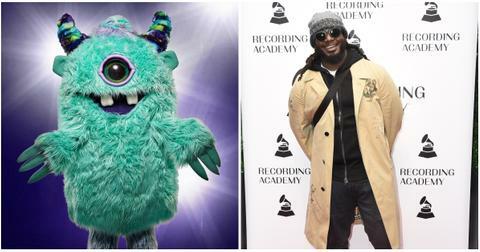 The Monster took off his mascot head, revealing... T-PAIN! We knew it! Perhaps the best thing about this competition is giving the Florida recording artist a chance to prove that a truly amazing voice was hiding behind that Autotune all those years. It's like a reverse Milli Vanilli! The judges had no clue. 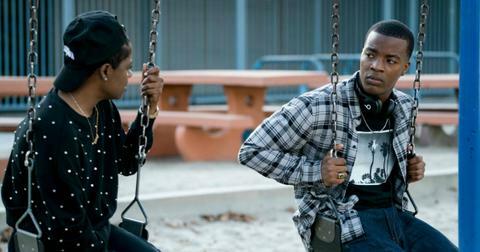 Robin guessed Jamie Foxx, Jenny guessed Michael Vick (!!! ), Ken guessed Darius Rucker of Hootie and the Blowfish, and Nicole guessed Cee-Lo Green. 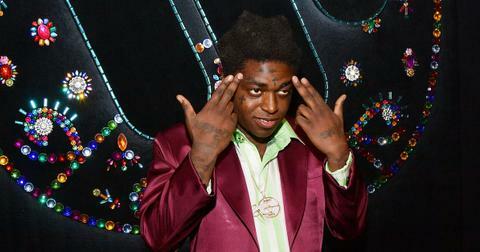 Guest judge Keenan Thompson threw out Tyrese. Hopefully next season, the judges will be better detectives. Maybe they could take some lessons from Nick, who had the answer in his pocket. Even though we've been pretty sure about these performers' identities for weeks now, it was still so much fun watching this show. Thank goodness there's a second season in the works. We want more!